As a student at the O’Neill School, you’ll have access to the events, programs, and workshops our Career Services office hosts throughout the year. Using our school’s connections to the community, you’ll have the chance to network with alumni in D.C. or right here on campus, discuss career opportunities with Indianapolis nonprofits, or secure an internship at a public safety agency. 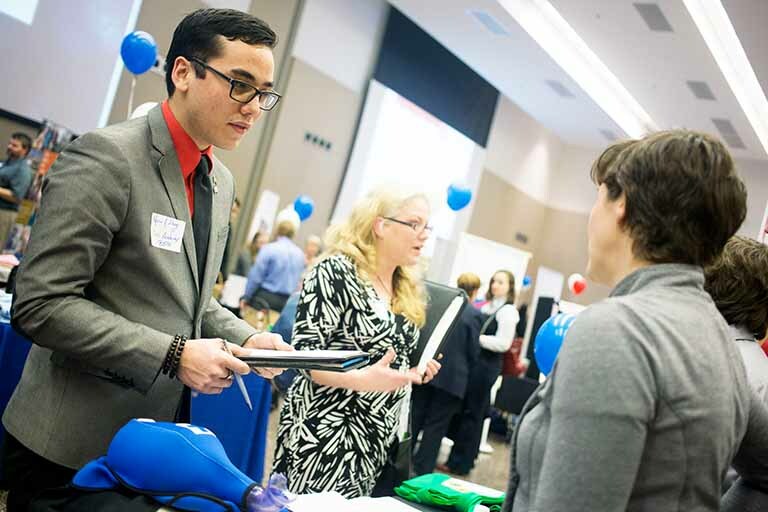 More than 70 nonprofit, government, and community employers participate in the IUPUI Nonprofit Expo. Employers offer job, internship, and volunteer opportunities to graduate and undergraduate students across campus, as well as alumni. Each year, more than 40 city, county, state, and federal agencies are on campus to discuss the wide range of career opportunities in public safety, including law enforcement, firefighting, emergency management, homeland security, and forensic investigations. See drug-sniffing dogs, bomb-defusing robots, the Department of Natural Resources’ airboat, and an array of vehicles and equipment used by public safety professionals. You can also participate in demonstrations with the Department of Homeland Security’s mobile crime lab, the bomb squad, and the SCUBA-diving team. We also host a variety of targeted professional development programs throughout the year. Each semester, our school hosts alumni panels and information sessions from employers that give you insight into a specific field or organization. Visit our events page for details on upcoming career events. The Washington Leadership Program will give you the opportunity to network with professionals leading the way in the nation’s capital—all while gaining valuable career experience and class credit. In the program, you’ll develop the professional skills needed to become a leader and make a difference.